Today, we announced fēnix, our first GPS wrist watch for outdoorsmen, such as mountaineers, hikers, cyclists, hunters and backpackers. 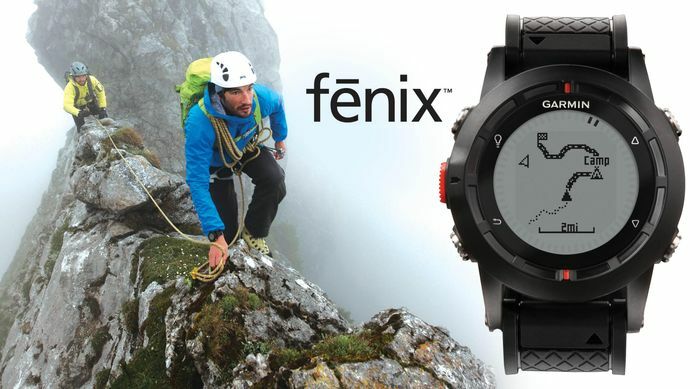 fēnix provides comprehensive navigation and tracking functionalities as well as trip information to guide adventurers during their challenging activities off the beaten track. Its built-in sensors provide information on heading, elevation and weather changes. Utilizing Garmin’s leading GPS technology, fēnix can guide adventurers off the trail and back to the safety of a vehicle, trailhead or campsite. Sporting a classic round watch design in a high-strength housing with a scratch-resisting display, it is built to endure the toughest outdoor conditions and also makes a stylish day-to-day timepiece. The availability of Garmin’s Basecamp app might differ from the market availability of fēnix. Previous ArticleBermuda Billfish Blast claims another Garmin Grand!